Joe Cyganowski-For Shaw Media From left Ryan Diem Dan Hampton and Glen Kozlowski meet before the start of the 9th annual Allie &Friends Golf Classic at Boulder Ridge Country Club Monday, May 6, 2013. Former Indianapolis Colt and Northern Illinois University football star Diem hosted the charity golf outing to raise funds and awareness about an aggressive and lesser-known form of pediatric cancer. Joe Cyganowski-For Shaw Media Bob Perschon reads the flyer on the history of the Allie & Friends Golf Classic. Julie Diem (left) talks with golfers before the start of play at the Boulder Ridge Country Club Monday , May 6, 2013. 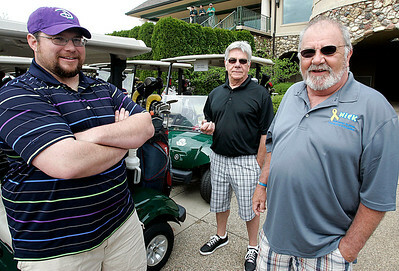 Joe Cyganowski-For Shaw Media Mike Esposito, of Lake in the Hills, Mike Torto, and Dennis Criner wait for the start of the 9th annual Allie and Friends Golf Classic at Boulder Ridge Country Club Monday , May 6, 2013. Allie & Friends was founded in 2005, the fundraiser is named for Allie Neff, who died from neuroblastoma. Joe Cyganowski-For Shaw Media John Bulger, of Huntley, gives high fives to golfers heading out to their tees, Bill Constien, Carol Stream (right) looks on at the 9th annual Allie &Friends Golf Classic. 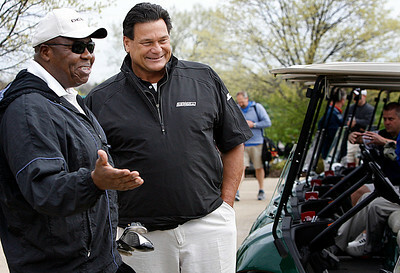 Joe Cyganowski-For Shaw Media Former Bears Jim Osborne (left) and Dan Hampton chat before the shotgun start of the 9th annual Allie & Friends Golf Classic, Monday, May 6, 2013 at Boulder Ridge Country Club. Hampton and former Chicago Bear Glen Kozlowski joined Ryan Diem right tackle for the Indianapolis Colts. Allie & Friends was founded in 2005, the fundraiser is named for Allie Neff, who died from neuroblastoma. 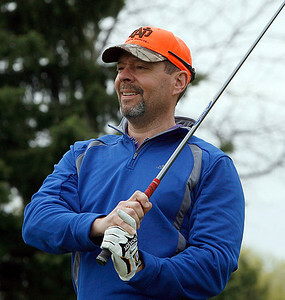 Joe Cyganowski-For Shaw Media Richard Tuttle, Palatine tees off at the 9th annual Allie & Friends Golf Classic at the Boulder Ridge Country Club Monday , May 6, 2013. 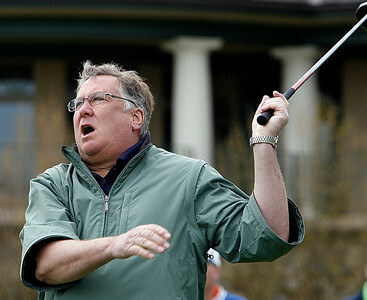 Joe Cyganowski-For Shaw Media Craig Hansen of Carol Stream reacts to his tee shot during 9th annual Allie &Friends Golf Classic held at the Boulder Ridge Country Club Monday , May 6, 2013. John Bulger, of Huntley, gives high fives to golfers heading out to their tees, Bill Constien, Carol Stream (right) looks on at the 9th annual Allie &Friends Golf Classic.